The Fullerton City Council moved a step closer Friday to hiring a consultant to conduct an independent review in the case of a man who died after an altercation with Fullerton police. The council directed the city attorney Friday to draw up a contract for the services of consultant Michael Gennaco, who would conduct such a review. Gennaco is the chief attorney for the Los Angeles County Office of Independent Review. The OIR is a civilian oversight committee that was created in 2001 by the Board of Supervisors to monitor the Sheriff's Department. The full council will vote on the matter at Tuesday's meeting. Gennaco's investigation into the arrest of Kelly Thomas will include an examination of the police department, which has been under pressure since the July 5 altercation involving Kelly Thomas -- a 37-year-old homeless man diagnosed with schizophrenia -- and six Fullerton officers at a transit station. The open portion of the meeting Friday included a 30-minute public comments session. Several people spoke about the case before the council went into closed session to consider the independent review process and other matters. He has replaced Chief Michael Sellers, who has been under fire for his handling of the investigation into the death of a homeless man. Kelly Thomas died after an alleged confrontation with police. Several residents voiced concerns during the public comment period. Others responded to the mayor's comments regarding Thomas' injuries. Mayor F. Richard Jones urged the public to wait for a coroner's report to know the exact cause of Thomas' death before passing judgment. It was also revealed at the meeting that the police chief will be on paid medical leave for one year. The city announced Wednesday that Police Chief Michael Sellers would take a medical leave. City officials have not said what prompted the medical leave, but the decision vaulted Capt. Kevin Hamilton to the position of interim chief. Hamilton has encouraged the council to hire Gennaco. "I'm confident it will be a good thing for the city, the department and the investigation of the Kelly Thomas incident," Hamilton told City News Service. "We'll be looking at training components, supervision issues -- there's a lot to look at with a broader lens. There's a lot we can do where we're not stepping in the way of the other investigations." He was referring investigations by the FBI and the Orange County District Attorney's Office. Ron Thomas, Kelly Thomas' father, was meeting Friday morning with the District Attorney. Gennaco said his company's review also would provide advice to the department on handling homeless people and those with mental illness. City Manager Joe Felz has said Gennaco's services could run $60,000 or $70,000. Gennaco has headed the civil rights section of the U.S. Attorney's Office in Los Angeles. He oversees investigations of police misconduct and hate crime cases. In an LA Times report Thursday, Hamilton said the department allowed police officers involved in the encounter to watch a video that captures the incident before writing their reports about it. It's a practice that conflicts with methods used by many other police departments, the Los Angeles Police Department's former inspector general told the Times. 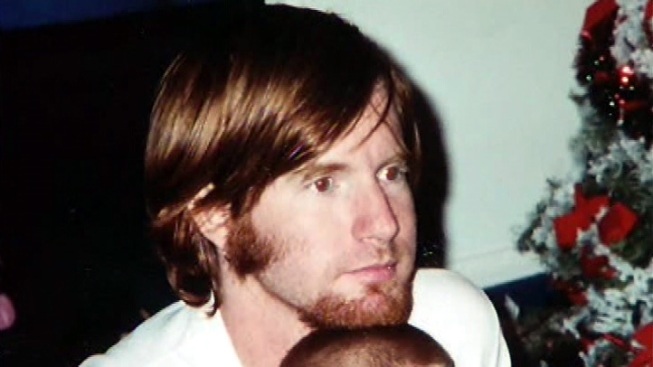 On Thursday, the family of Kelly Thomas filed a claim -- a precursor to a lawsuit -- against the city. The claim alleges excessive force in the July 5 arrest at the Fullerton Transportation Center. According to the claim, officers "in unison severely beat (Thomas) with their fists and with objects and subjected (Thomas) to excessive applications of Taser electricity and to numerous forms of excessive and deadly force under circumstances in which (Thomas) was subdued and restrained and represented no threat of harm to the Fullerton police officers, causing the death (of Thomas)." The family has scheduled a news conference for Friday afternoon. The family is being represented by Mardirossian and Associates Inc. of Los Angeles. The six officers involved in Thomas' arrest are on administrative leave.